Ok that was a very random series of flashbacks. Speaking of, Kit kills a shop assistant over bottled water then drinks the blood. The gang gets news about this just as Cole’s contacts reveal Rick and Kit were in Iraq in a cemetery with an odd, raging POW on their last deployment. Bye Cole, make with the stabbing (the Winchesters have seen this before and murder generally stops it). Alas they decide against that cure and instead opt to electrocution which also can evict the worm. Dean opts to put some volts in Cole which sounds like fun while Sam goes after Kit. Cole begins to realise just what the Winchesters face every day, along with the complete lack of appreciation they get (like from him, a man they’re saving who tried to kill Dean). Electrocution isn’t fun and Dean doesn’t like half killing Cole to save him – especially when it doesn’t work. Cole has a big understanding moment about Dean killing his dad and ask he do the same for him if he becomes a monster. Cole struggles and Dean puts on his angst face. 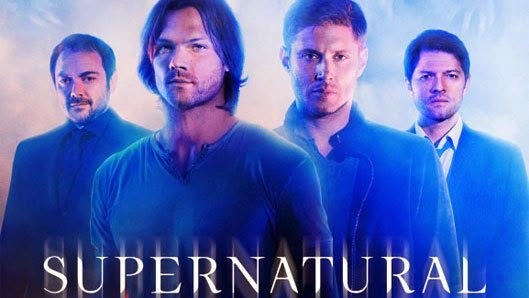 Each Winchester wrestles their worm infested soldier and Dean manages to save Cole – but Sam has to shoot Kit. They make their goodbyes to Cole and Dean tries to comfort Sam who is hurting a lot over being unable to save Kit (with an added note that sometimes no matter how hard you try, the good guy still dies which, of course, links to Sam’s attempt to remove the Mark of Cain). I think something could really be developed out of the Winchester habit of yelling “monster” and stabbing things a few times. Way back in the early seasons, Hunting was all about saving people, not, especially about stopping monsters. Yes they stopped monsters, but they did it because they were hurting people. But as the seasons progressed we got more and more epic storylines, more and more major big bads to fight and kill and the focus changed from saving individuals towards saving everyone; which meant slaughter and killing the monster more than it meant actually rescuing people. Sure there’s still rescue inherent, but there’s a definite shift in focus. A classic example are the demons, way back in the day demons were things they exorcised out of possessing people – a major goal was to save the host. Now they have angel blades, Cain daggers and other stabby things and suddenly no-one cares about the host. I suppose this did kind of cap the whole Cole storyline and not in a bad way – Cole himself brought some good emotion. Dean… didn’t. He’s overused his angst face waaaay too much in this season and I’d expect grim sad resolve from him if he had to kill Cole, not the lost devastated little boy look he was giving. He would be sad but not despairing, there’s no reason for Dean to be that invested in Cole so far. Sam goes for Sam and being so hit – yes he should be hurting, but refer back to my previous point on how saving people HASN’T been their focus for a little while now, and how many innocents have they seen die over the many many many many oh gods many episodes? I feel like they’ve hit on this idea but are leap frogging into it when they could get so much more of it with more development.